Mount Everest, the greatest challenge, is more than the famous mountain on earth. It has a unique beauty, mystery and mood. Successful historical Everest Expeditions leaves one with the sense of most proud and adventurous person on Earth. Mt. Everest's local names give you a sense of how the mountain commands respect from all who see her. Standing incredibly tall silhouetted against the shared sky of Nepal and Tibet, this mountain has many names: Chomolungma, Sagarmatha, Qomolungma or Mt. Everest. Whichever name one chooses, its vagueness still lives on. 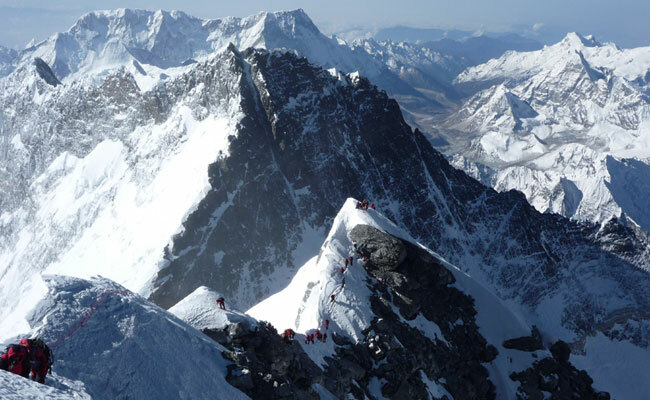 Most of the mountaineers have their dream to reach the summit of Everest in their life time. For many who are mainly trekkers become contended having the best view of it from Kala Pattar, Gokyo RI or visiting Everest base camp. 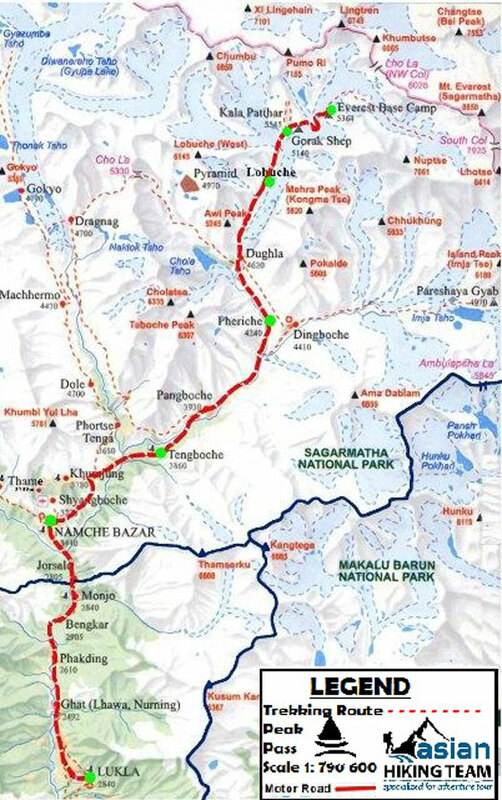 The South Col routes on the Nepalese side of Mt. Everest is the way taken by Sir Edmund Hillary and Late Tenzing Norgay Sherpa first climbed it in 1953. Possibly the most colorful story about the early attempts on Everest is the one involving Captain J. Noel and his native companions. He disguised himself as a Mohammaden and made a journey from Darjeeling through Northwest Sikkim and round the north of Kanchenjunga in an attempt to reach Everest. Unfortunately, not even the disguise could see him through. His mission has been out short just sixty-five km from Everest when a posse of Tibetan soldiers forced them to turn back. Although there are a dozen or so routes on Mt. 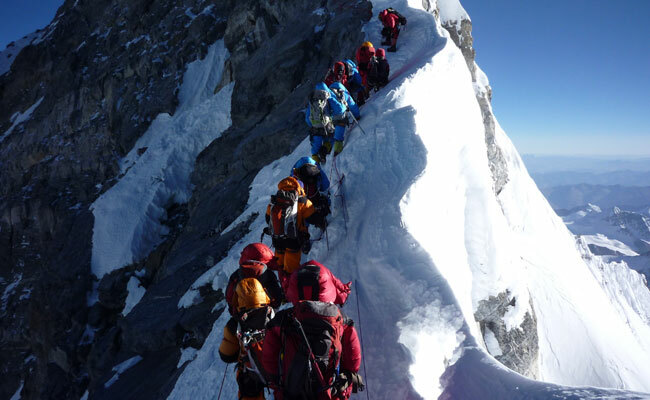 Everest, we follow the classical route, traditionally the most reliable way to the summit. 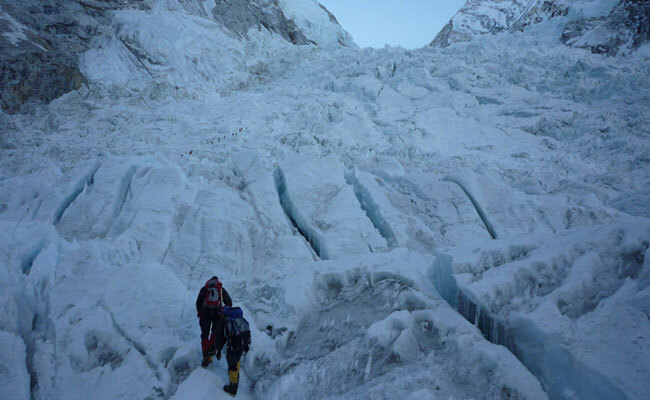 Climbing Everest expedition has been successfully organized and climbed many times since then, but this should not lull prospective Everest climbers into complacency. Everest is a deadly mountain. Noting this, one cannot approach the mountain with anything but a serious determination and focused mountaineering attitude. Everest is still as inexplicable, beguiling and magnificent as ever. In organizing Everest climbing expedition while our goal is to get as many members to the summit as possible & even more importantly return safely home. However, because of the nature of Everest Expedition, the highest and one of the most difficult mountains in the world, we cannot guarantee everything. Asian Hiking Team strives to conduct a safe, successful and enjoyable experience, and will do everything possible to achieve each of these goals. After final preparations for the historic Everest Expedition in Kathmandu, Fly to Lukla and begin our tea-house trek up the Khumbu Valley to Everest base camp. We will establish our base camp at 5300m at the foot of the notorious Khumbu Icefall before making our way to Camp 1 at 6200m. We will climb to Camp 2 at 6,600m smacks in the middle of the Western Camp up to the Lhotse face to Camp 3 at 7200m. Finally, we'll head up the South Col or Camp 4 at 8000m before making our Everest summit push. Day 02: Preparation for Expedition, Overnight Hotel. Day 03: Official works for expedition and briefing by officer of Ministry of Tourism, overnight Hotel. Day 04: Kathmandu to Lukla by flight then trek to Phakding, overnight Hotel/Guest house. Day 05: Phakding to Namche, overnight Hotel/Guest house. Day 06: Rest day for acclimatization and explore around, overnight Hotel/Guest house. Day 07: Namche to Tyangboche, overnight Hotel/Guest house. Day 08: Tyangboche to Pheriche, overnight Hotel/Guest house. Day 09: Rest day in Pheriche, visit Dingboche day trip, overnight Hotel/Guest house. Day 10: Pheriche to Labuje, overnight Hotel/Guest house. Day 11: Lobuje to Base Camp, overnight tented Camping. Day 12 to day 52: Climbing Period of Mt. Everest 8848m, overnight tented Camping. Day 53: Cleaning Base Camp and Preparation, overnight tented Camp. Day 54: Base Camp to Pheriche, overnight Hotel/Guest house. Day 55: Pheriche to Namche Bazaar, overnight Hotel/Guest house. Day 56: Namche Bazaar to Lukla and transfer to hotel. Day 57: Early morning flight back to Kathmandu then transfer to Hotel. Day 58 and Day 59: Free days in Kathmandu, Overnight Hotel. Day 60: Last minute, transfer to airport for your onward journey. 5 Nights three Star Hotel accommodation in Kathmandu with breakfast. Oxygen bottles (5 bottles per member) mask and regulator. Khumbu Ice Fall route fee (Khumbu Ice Fall route will be fixed by SPCC and we pay them in order to use the route which will be maintained by their Sherpa staff throughout the expedition period). 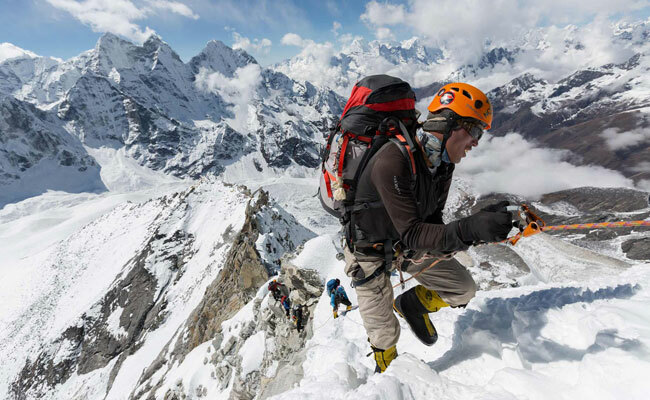 Rope fixing fee for Everest only payable to EOAN ( expedition operators association of Nepal ). Satellite phone carrying by Guide for communication and available for members with nominal cost. 90 Days Nepal visa fees.